Experience sophisticated charm and relaxed country living at our award-winning inn on the edge of a small town twenty minutes from Cincinnati. Choose guest accommodations in two masterfully restored buildings: a 1830s federal building and a restored 1850s real log cabin, both furnished with appropriate antiques and reproductions. Attention to detail and luxurious touches abound to keep our guests happy, such as air-jet whirlpool baths, steam showers, plush robes and towels, fireplaces, triple sheeting with fine linens, down comforters, top quality mattresses, fresh baked cookies, and complimentary beverages. 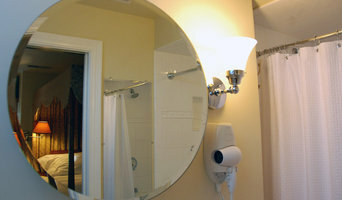 Guests may also enjoy in-room massage, wireless Internet, cable TV and DVD player, and a comprehensive movie collection. A full gourmet breakfast is served daily at individual tables, or can be delivered to our suites by request. Founded in Louisville, Kentucky in 2003, Mediaura is a full-service digital agency. Our award-winning team combines innovative leadership with the cutting-edge capabilities of the marketing services industry. We have built a solid foundation through our integrity, honesty and client satisfaction. Louisville Home Pros, serving the metropolitan Louisville Kentucky real estate market. Address: 13040 Eastgate Park Way Suite 108, Louisville, KY, 40223 Phone: 502-423-0105 Website: <a rel="nofollow" target="_blank" href="http://www.thepianoshopllc.com/">http://www.thepianoshopllc.com/</a> Category: Pianos, Piano Tuning, Repair, & Refinishing, Music Stores Music enthusiasts across southeastern Indiana trustThe Piano Shop to take care of their pianos.Located in Louisville, KY, specializes in grand piano sales and a wide range of maintenance services, including tuning, re-stringing, and hammer replacement. The owner, Matt Grossman, has over 35 years of experience tuning, repairing, and rebuilding pianos. Mr. Grossman has worked in Washington, D.C., where he serviced pianos for the White House and the National Symphony. He also served as a piano technologist at the University of Memphis and the University of Louisville. Today, The Piano Shop is dedicated to restoring instruments and providing accessories, like piano benches and covers. They also enjoy making recommendations for local piano teachers. The Grand Movers division of The Piano Shop can help you transport your instrument safely, whether you need to move your piano from your home or across town. Climate-controlled storage and re-tuning services are also available to ensure that your piano plays beautifully once it has reached its final location. If you are looking to sell a piano, The Piano Shop offers appraisal services and consignments to help you earn top dollar. When it comes to restoration, The Piano Shop can bring even the oldest piano back to life with a new soundboard, hammers, and a humidity control system. Warranty service is available for most brands, and customers will have access to lifetime toll-free technical support over the phone. If you’ve been thinking about buying a piano to bring music into your home, or if you're interested in learning more about a piano you already own, call The Piano Shop at (800) 924-1900for a no-obligation consultation. Visit them online to learn about the full range of services and piano brands for sale. I sell mostly home goods, or items in the home. Current listings consists of women's clothing and accessories. Looking into expanding my business with more suppliers and goods. Full service marketing consulting for small businesses. Specialize in turnkey solutions for email marketing and social media. Journalists and bloggers work to convey as much useful information to their readers as possible. Whether they provide an in-depth look at a new development in the world of design, research on the best Crestwood, KY vendors and resources for purchasing home furnishings, step-by-step instructions for completing a home improvement project successfully from start to finish, or inspiring images and thoughts on styles and trends in the home, blogs and other media provide endless resources for people interested in home design. Here are some related professionals and vendors to complement the work of media & bloggers: Photographers, Interior Designers & Decorators, Architects & Building Designers.